There might be certain stereotypes about francophone gamers, but if you take a closer look, you will realize that some of the finest and strongest guilds in the history of online games are speaking French. Elysion is a great example for that and their recent achievements just prove that point. 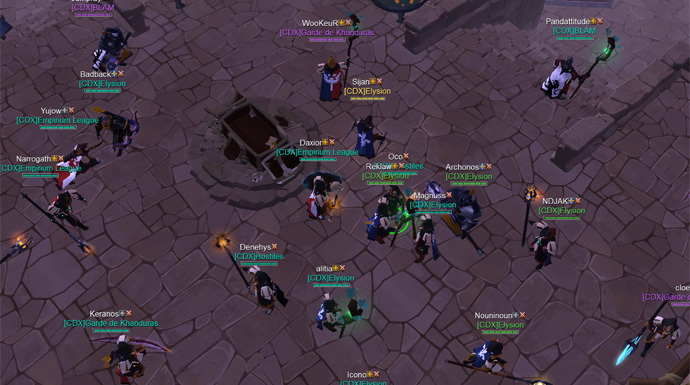 The recent success of the francophone guild Elysion and their allies drew the attention of Albion’s community. Need, the guild leader of Elysion agreed to an interview and together with Gugusteh and Morzog, his Right Hands and Sijan, his diplomatic officer we met to talk about their guild. Through my conversation with them I was able to get insight on the background of this international guild and their members. Enjoy! Our Spotlight begins with two guilds, both eager to prove themselves in the world of Albion Online: Eclypsia and This is War. Both were created at roughly the same time and had a similar development. As a result of that, both hit a wall, in form of the older and better organized and already established guilds of the game, simultaneously. While both guilds had enough motivated members, their lack of experience in areas that are necessary to compete with the top of the guilds in Albion Online, slowed down their initial progress in conquering a part of the Outlands. Yet, thanks to their dedication and their hard work both guilds were able to succeed in securing themselves a place to live in Welcoming Shadow. Learning the hardships of being a new guild with ambitious goals in Albion Online, both guilds tried to find a solution to their struggle… and they found the answer they were looking for. In the late of August, Eclypsia and This is War decided to merge their forces under one banner. This was the moment Elysion was created. 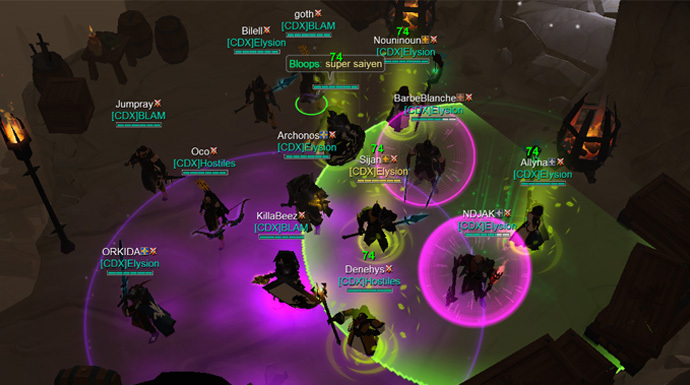 Elysion has become one of the, if not the, most successful francophone guild in all of Albion Online. Approaching the game with enjoyment rather than going tryhard, resulted in French-speaking gamers from all of the world joining their cause. Name a country that uses French as their language, you will find it within Elysion. Having this versatile member base is certainly one of the reason for the recent success of Elysion. Combining people from all over the world allows them to have a busy guild all around the clock. To further improve their options in competing against the other guilds of Albion Online, soon after the merger, Elysion relocated to the area around Dauntensea, as a more hour-friendly GvG zone for them. From there, Elysion launched their campaign to conquer the outlands of Albion. The second important step to improve their standing in the rankings of the guilds were made a few days after Elysion was born; They joined the francophone alliance, Codex (CDX). Supported by their new allies, Elysion started their campaign with a great initial success by claiming the city of Dauntensea for themselves. 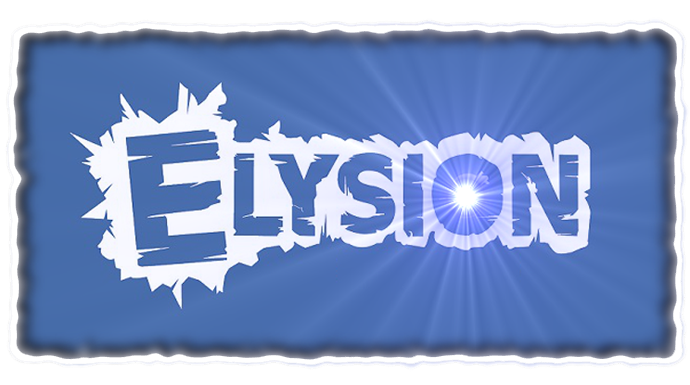 From here on out Elysion’s started to roll on their own and each day brought new experiences that helped to shape the new guild into what they have become today. While their alliance and their allies provided lots of invaluable information about Albion Online, there are things you can only understand through blood, sweat and tears, and the Dauntensea area is known for a high competitive level. It is the home of well-known guilds like ZORN and Envy, after all. Given that, it is no surprise that Elysion had to continuously step up their game by proving themselves. Through skirmishes, small-scale fights and regular chest battles, Elysion was able to improve not only their members' individual skills but their overall approach on warfare in general. Elysion fought countless battles against other strong guilds and alliances. Not all of them were victorious but instead of sulking about a lost fight they started to analyze their battles with the clear goal of understanding their mistakes, making sure they won’t repeat them. Thanks to that mindset, the guild continuously powered up and they started to optimize their rosters and their general understanding of the game. 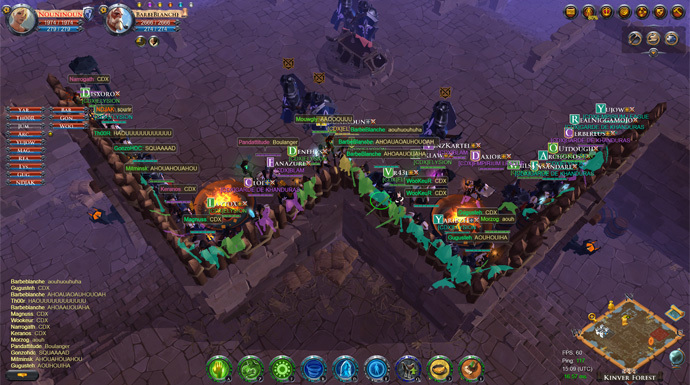 Recently, the total player-base of their alliances started to shrink down but instead of being the end of Codex, all guilds pulled through by strengthening their bonds between each other. Instead of merely supporting each other, Codex started to evolve into a well-oiled machine. By combining their forces that way, new opportunities revealed themselves. Thanks to the new-found strength, Elysion and their allies were able to compete head on against ZORN, Envy and the ELDER alliance by fighting them in castle wars. Their enemies, formed and shaped by experience of numerous fought battles, were the real deal. Fighting against those that already reached a level Eylsion is aiming for provided tough and interesting challenges. Thanks to the first hand experience Elysion’s members took out of the battles against those untamed beasts, the guild reinforced their combat abilities even further. One of the strongest points of Elysion might be their flexible and reactive guild lead. Instead of a fixed internal guild system, the organization within the guild is evolving on a daily base through their members. Offering every member a wide range of ingame activities, based on their personal preferences, has build up a motivation within the guild that does not need to hide in front of anybody. Supporting their members in their personal decisions has yield great results. With everybody supporting the guild the best they can, all of them have become a key to Elysion’s success but there are a few that shine one tick brighter and everybody should know that there are tasks that only specialist can run. The triumvirate that shaped the initial form of Elysion are Skylast, Kanaskaine and Need. Their development of the basic structures and the energy they brought into the guild started the success of the francophone guild. Yet, being on their way to the top, Elysion had to keep evolving and that was the moment Gugusteh and BarbeBlanche joined the guild’s central development. They brought fresh ideas into the decision-making and secured that the organization of guild stayed dynamic. Still, there are two other major tasks a guild needs to take care of, if they want to keep growing. Number one is the recruiting and training of new members. This is the task of Morzog, who not only trains the new recruits, but also teaches and shares the guild’s mentality with them. In addition, what would be a guild without funds to support their war efforts? That is the domain of Liinky a “legendary” banker who seems to be able to create gold out of lead. Thanks to his efforts, Elysion always have the funds needed to keep their conflicts and their campaigns going. Last but not least, there is one person that could be called the father of Elysion: Libertii. It was him who started the initial idea to merge Eclypsia and This is War. Without his vision and inspiration Elysion would not exist today. Looking back at what Elysion has become today, their initial goal of joining the fights with the best of Albion’s guilds has taken a much clearer form. Everything Elysion is currently doing has the purpose of growing stronger. The lead of the guild is already creating ingenious plans for their future in Albion Online. Testing new tactics and strategies, recruiting and training new members, or honing their members’ skills have just become daily routine. “Elysion is no guild that is planning to disappear soon. We are here to write history and we will become known through all of Albion Online! We enjoy the game, we are taking every opportunity and we are creating a community by focusing on the relationships between our members and with our allies. I would like to thank all of our current and former members and allies for the awesome journey we were able to be a part of until now! What is your experience with Elysion? Do you agree with their approach to Albion Online? Share your thoughts with us in the comments below!